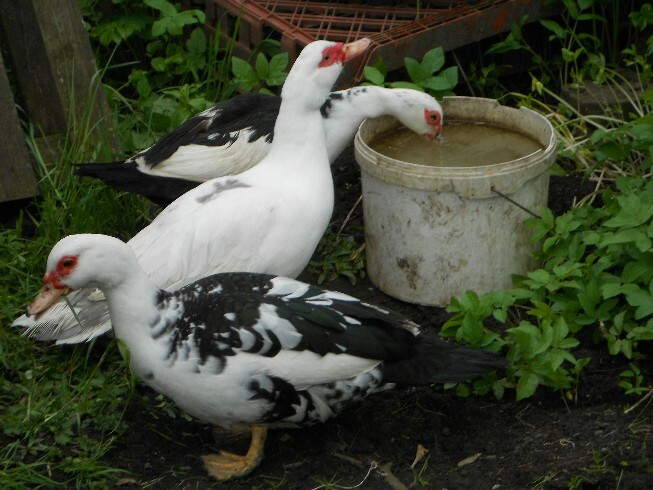 Muscovy Ducks - the quietest variety. 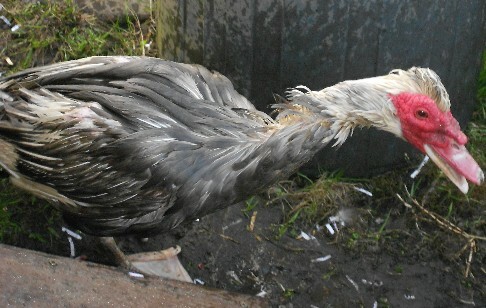 Ducks eat 'layers' pellets and mixed grain, but need plenty of water around. Mixed grain should be submerged in a bucket of water. You can also feed them lettuce but either tether it so they can tear off bits of leaf, or feed them small pieces, about an inch square. Don't overdo the lettuce, else they will suffer at the other end.